If you love outdoor adventure, there aren’t many better places to visit than Pennsylvania. With forested hillsides, beautiful waterfalls, peaceful beaches, and more rail trails than any other state in the country, Pennsylvania has a bit of something for every nature lover. 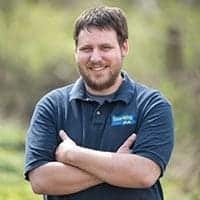 With this in mind, and having visited outdoor destinations in all 67 of Pennsylvania’s counties, I thought I’d take a few minutes to share my favorite outdoor counties in Pennsylvania with you. 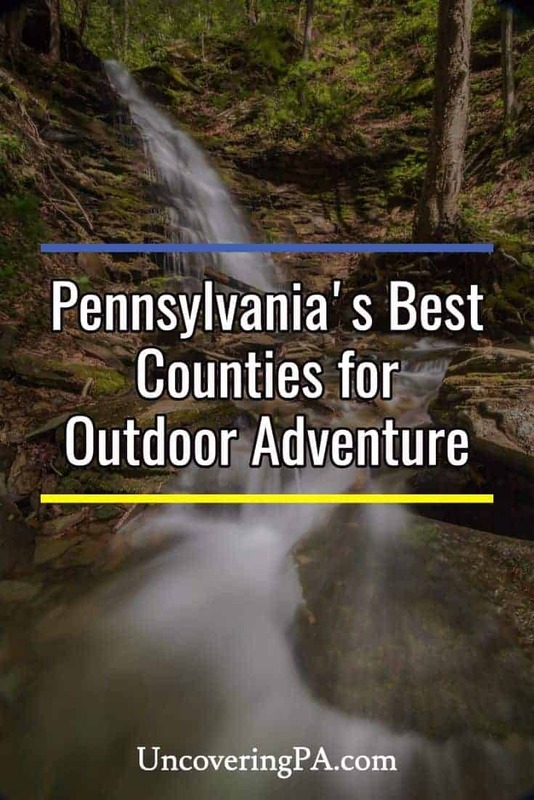 While there are great things to do outdoors in every corner of the state, these 9 (listed below in no particular order) are my personal favorite counties for outdoor adventure in Pennsylvania. If your favorites didn’t make the cut, tell me why I should have included them in the comments section below. 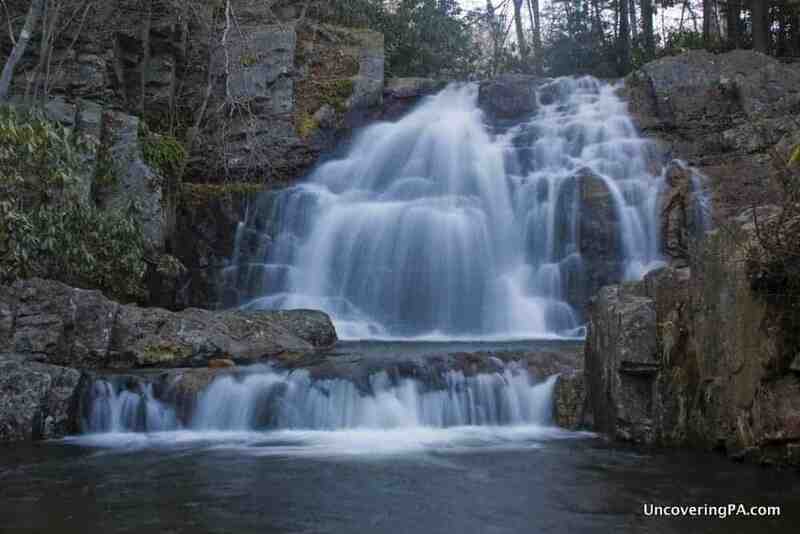 Dry Run Falls is one of the many beautiful waterfalls in Sullivan County, Pennsylvania. Located in the Endless Mountains region of Northeastern Pennsylvania, Sullivan County is a fantastic destination for nature lovers. As the second least densely populated county in Pennsylvania (Cameron County is first), there is an abundance of natural landscapes to explore in the county. The main outdoor attractions of Sullivan County are in Worlds End State Park and Loyalsock State Forest. Here, waterfalls such as Dry Run Falls, Angel Falls, Cottonwood Falls, and Dutchman Falls cascade down mountainsides, and rocky outcroppings provide commanding views over the hidden valleys. 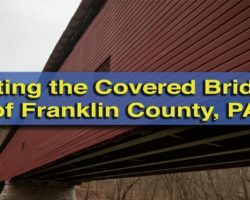 In addition to waterfalls, hikers enjoy the 59-mile Loyalsock Trail, anglers take to the waters of the Loyalsock Creek, and history lovers enjoy the scenic roads between Sullivan County’s covered bridges. 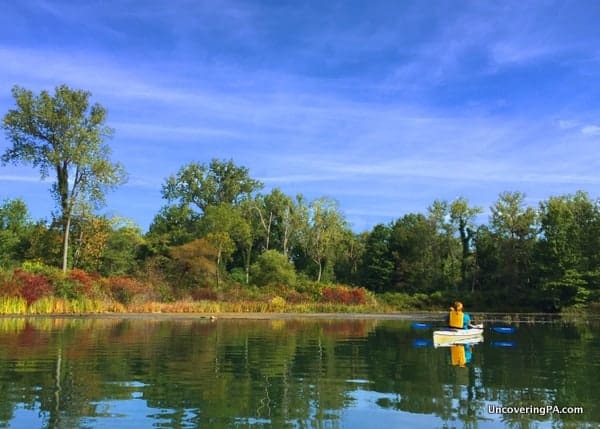 Kayaking the beautiful waters of Lake Erie in Erie County, PA.
Erie might not have the mountains that exist in much of the rest of the state, but this northwestern Pennsylvania county is the best destination in Pennsylvania for beach lovers. In fact, Erie County is home to more than 75 miles of coastline along Lake Erie. The best outdoor area to explore is Presque Isle State Park. This sandy peninsula features 13 beaches, several miles of hiking trails, and even a few small inland lakes. Visitors can take a dip in the lake, follow the trails, or rent a boat for a kayaking trip around the park. For those looking for other outdoor adventure in Erie County, Erie Bluffs State Park offers secluded hiking opportunities and great views of the lake. A drive through the Erie County’s wine region gives visitors a chance to see the region in a different light. The Pennsylvania Grand Canyon in Tioga County from Leonard Harrison State Park. Tioga County is located in north-central Pennsylvania and is home to one of Pennsylvania’s most impressive outdoor attractions: the Pennsylvania Grand Canyon, also known as the Pine Creek Gorge. While only the upper third of the canyon is in Tioga County, this region is the most remote, and includes the canyon’s two state parks: Leonard Harrison State Park and Colton Point State Park. These parks are full of stunning vistas, challenging hiking trails, and beautiful waterfalls. Visitors to Tioga County can also enjoy the Tioga-Hammond Lakes Recreation Area, which features two large lakes for fishing and boating and hiking to Sand Run Falls. Overlooking Raystown Lake in Huntingdon County. Huntingdon County, Pennsylvania, is home to Raystown Lake, the largest lake entirely within Pennsylvania. At over 8,000 acres in size, this lake dominates the outdoor landscape of the county. 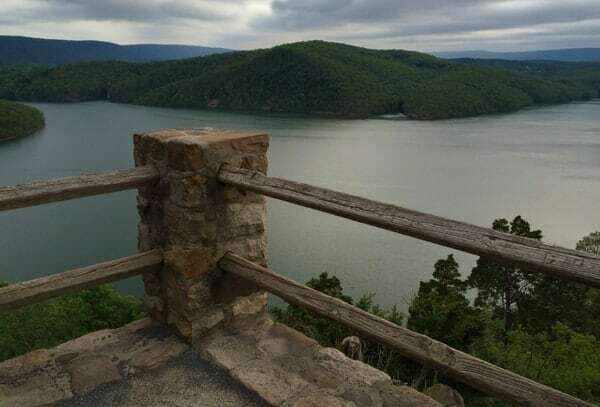 Since the land surrounding the lake is publicly owned, access can be a challenge for those without a boat, but there are several great areas for landlubbers to see Raystown Lake, fish, or go for a swim. Next to the lake are the Allegrippis Trails, a set of designated mountain bike trails that bring in visitors from all over the world. Also along the lake’s shore is Trough Creek State Park, one of the most beautiful state parks in Pennsylvania. Away from the lake, Huntingdon County is home to the beautiful Lincoln Caverns and excellent hiking, especially along the Thousand Steps Trail. The beautiful Hawk Falls in Carbon County’s Hickory Run State Park. The area around Jim Thorpe is a playground for those that love outdoor adventure. Whether you enjoy hiking, biking, or tackling white-water, you can enjoy the beauty of the Lehigh River Gorge near the borough. Hikers also enjoy the many waterfalls in the county, with Hawk Falls and Glen Onoko being popular options. In Carbon County, you can enjoy outdoor adventure all year, with several ski resorts and snowmobile trails ready to greet winter sport enthusiasts. 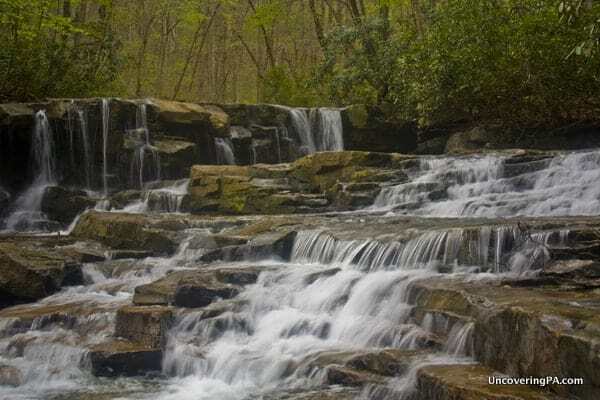 Upper Jonathan Run Falls in Fayette County’s Ohiopyle State Park. All three counties that make up the Laurel Highlands could be included on this list. However, there is no doubt in my mind that for outdoor adventure, there are few better places in Pennsylvania to visit than Fayette County. The main outdoor highlight of Fayette County is Ohiopyle State Park. The park is home to more than half a dozen waterfalls, a portion of the Great Allegheny Passage biking trail, and the some of the most popular white water rafting east of the Mississippi. 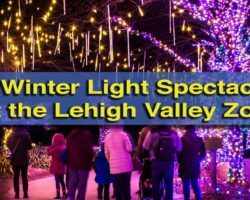 Nearby, visitors can tour Laurel Caverns (the largest public cave in Pennsylvania), the waterfalls of Connellsville, or Frank Lloyd Wright’s Fallingwater. The lower Pine Creek Gorge at Slate Run in Lycoming County, PA.
Lycoming County might be most famous for Little League Baseball, but the northern part of Pennsylvania’s largest county is home to some of the state’s most beautiful natural scenery. The northeastern corner of Lycoming County is home to the McIntyre Wild Area. Part of Loyalsock State Forest, the McIntyre Wild Area is home to Rock Run, widely considered PA’s most beautiful waterway. Hidden amongst the forested hillsides here are many hidden waterfalls and beautiful vistas. 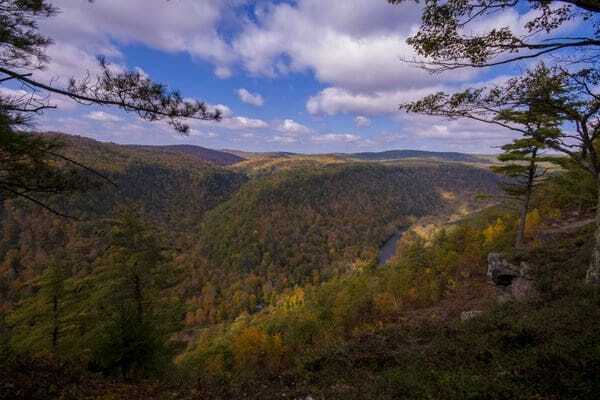 The northwestern portion of Lycoming County is dominated by the lower two-thirds of the Pennsylvania Grand Canyon. While the lower portion of the canyon isn’t as secluded as the northern third, it is actually deeper here, and has amazing views. One of Pennsylvania’s best drives is through this portion of the PA Grand Canyon from Blackwell to Jersey Shore. There are few better destinations for outdoor lovers in Pennsylvania than Delaware Water Gap National Recreation Area. And, while it covers parts of several counties, most of the best destinations are within Pike County. The most obvious feature of this region is the many great waterfalls. In fact, Pike County is home to both the tallest waterfall in the state (Raymondskill Falls) and the second tallest waterfall in Pennsylvania (Dingmans Falls). However, there are dozens of other waterfalls in these forested hillsides, including the popular Bushkill Falls. 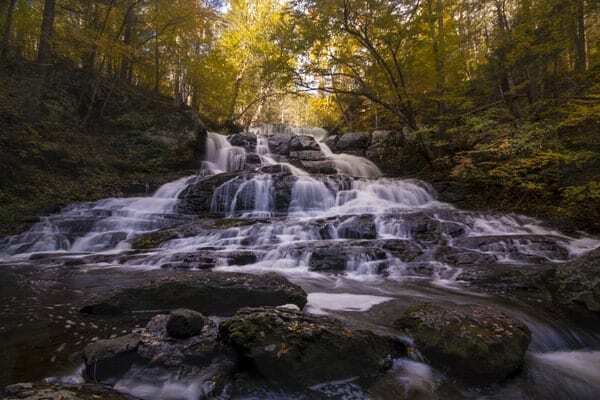 In addition to many great waterfalls, Pike County, Pennsylvania, is home to many great hiking trails and vistas, dozens of beautiful lakes, and the scenic Promised Land State Park. Without a doubt, there are few counties that seem to have as much endless outdoors fun as Pike County, PA.
An elk roams near Saint Marys in Elk County. 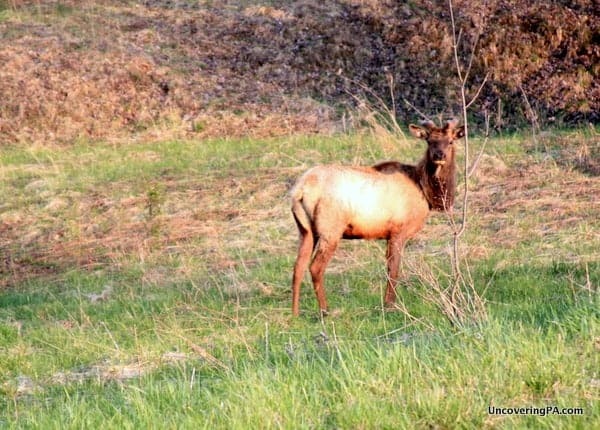 While a significant portion of Elk County is covered by forested land, the main outdoor draw in the county has to be its elk herd, the largest free-roaming population in the US northeast. The main destination for those looking to see and learn more about elk is the small town of Benezette. At the Elk Country Visitor Center on the outskirts of town, visitors can learn about the herd and take excursions with the hope of seeing them. If you’re lucky, the elk might even be hanging out around the visitor center. Other than the region’s elk, Elk County is known for the untamed lands of the Quehanna Wild Area, Elk State Forest, and the Allegheny National Forest. Visitors to the area enjoy hiking the Quehanna Trail, through the Marion Brooks Natural Area, and boating down the Clarion River. 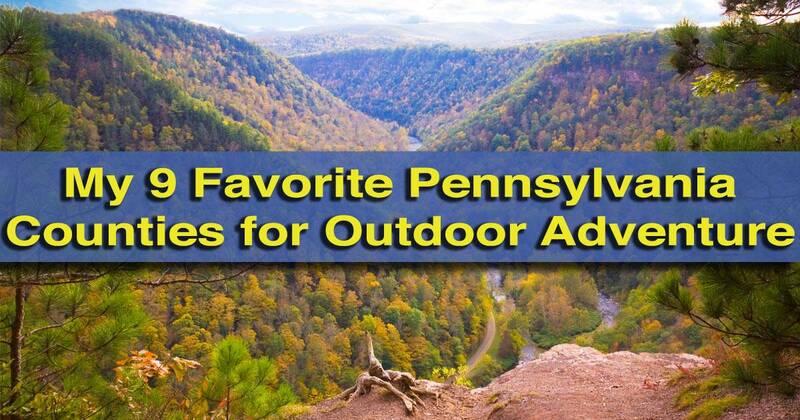 Did your favorite Pennsylvania county for outdoor adventure make the cut? If not, let me know what else I should have included in the comments section below. Potter County…for sure. And Coudersport…view from up on the high hills. Coudy is like a train village. A beautiful town. Am headed that way next week. Emporium, Austin, Coudy and so much more. Shame on you for not putting Somerset Co . On that list …The Most Beautiful of All ……? Just my opinion, John. 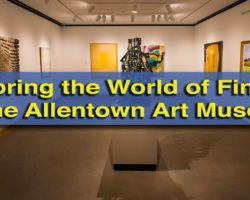 Lots of beautiful places to visit in Somerset County, but when narrowing the list down to nine, some great destinations won’t make it. I live in bucks county. Lots of beautiful, and historic things to see. I still choose to spend most of my recreational time in Pike county. Especially the Pecks Pond, and Promised land area’s. Thanks for pointing out more places for me to visit when I’m in the area. I love Bucks County! Such a beautiful and historic place. If I did a list of my favorite counties in the state, it would definitely make the list. I’m thinking of moving to Pennsylvania.. I love nature, hiking, swimming, biking, etc.. Is there a quaint town in one of these counties that someone can recommend. I have a 9 month old baby and I’m looking for somewhere that is safe, quiet, and close to nature. Is there a small, affordable, nice, town that anyone might recommend? 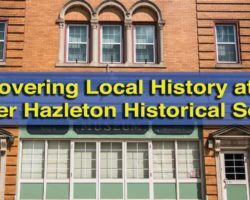 Warren County has great things to do year round with Allegheny National Forest and the Kinzua Dam and Reservoir! 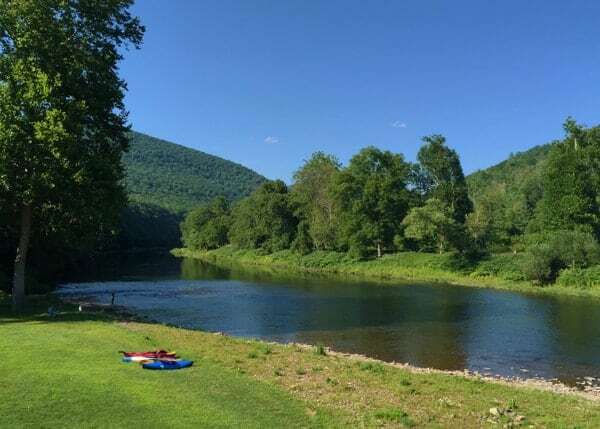 Lycoming County also has what is considered by some to be the most beautiful stream and some of the best swimming holes in PA–Rock Run in Loyalsock State Forest. 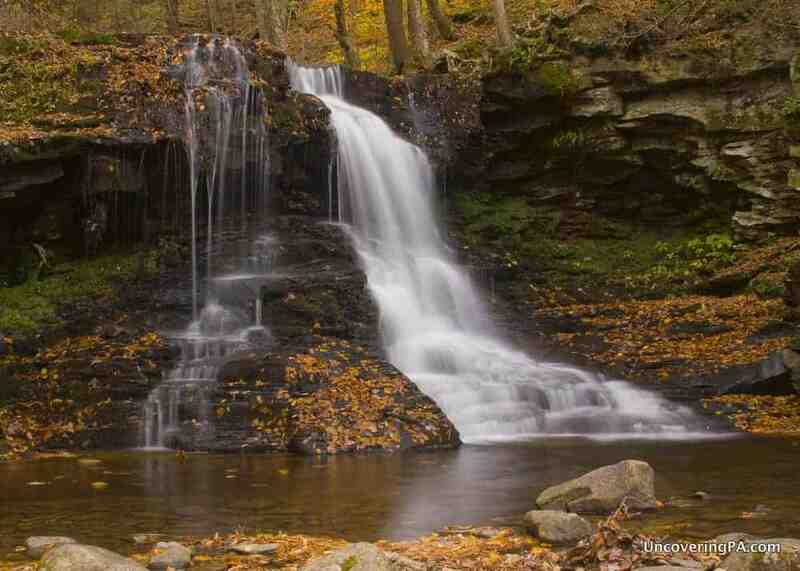 And then there’s Luzerne County with the Falls Trail of Ricketts Glen… I’m sure it’s hard to choose! Very hard to choose. While Ricketts Glen State Park might be my favorite spot in PA, I didn’t want to include Luzerne County because of basically a single destination.